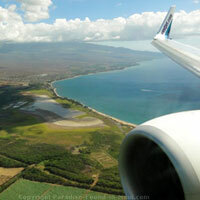 There are so many Maui events and festivals that it can be hard to keep track of them all! But it's worth finding out about them - not only are they a lot of fun, many of them are completely free, making them great for travelers on a budget. Hawaiian Music Series: This free monthly concert is held in Lahaina, on the lawn of the historic Baldwin Home Museum. 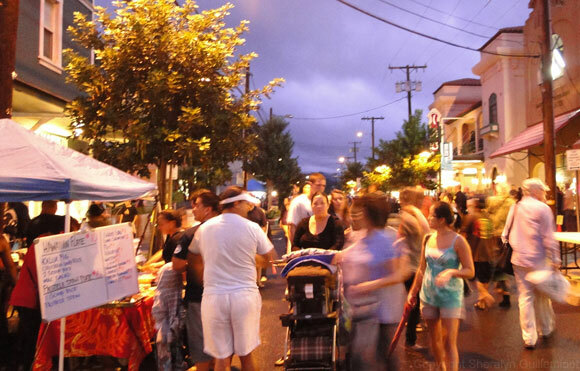 Lahaina Arts Society Fine Art Fairs: This is a fantastic stop for art-lovers and souvenir seekers. It's held in Lahaina, under the enormous Courthouse Square Banyan Tree. Maui Whale Festival: Although this next event does not occur every month, it does stretch out over half the year. If you'll be in Maui during whale season (December to early May), be sure to check out some of the Maui Whale Festival events, brought to us by the Pacific Whale Foundation. Hyundai Tournament of Champions: This is held at the Plantation Course in Kapalua, and only previous PGA tour champions are allowed to compete. It's sure to be a showing of top-notch golf as they battle it out for a prize of over 1 million dollars! And countless other whale-themed events. Kite Festival in Lahaina: This year it will take place on April 11-12, 2014, from 1-8 p.m, at the Wo Hing Museum (858 Front Street). Enjoy the workshops and exhibits, buy a kite, or even learn to make your own! 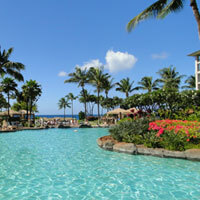 Hawaiian Steel Guitar Festival: You'll find this at the Kaanapali Beach Hotel from April 11-13, 2014, and it is absolutely free. Festival-goers can take part in cultural activities and workshops, enjoy live music and hula, and even get a chance to play with the masters! There are a ton of events to choose from in May! Maui Brewer's Festival: This fundraiser is held every year at the Maui Arts and Cultural Center in Kahului and is THE place to go for the best craft beers, not only from Hawaii, but from all over! This year, look for it on May 17, 2014. Progressive Dinner Party through Lahaina Historic Sites: This fundraiser for the Lahaina Restoration Foundation is one of the most unique dining experiences on the island. If you're lucky enough to be able to attend, you get a feast prepared by some of Maui's best chefs, at 3 of Lahaina's most historic sites. This year, look for it on May 13 and 14, 2014. East-Maui Taro Festival: This celebration of taro has been running for over 2 decades, and is held in the iconic town of Hana. This year, look for it on May 3, 2014. If you go, you can check out the farmer's market, poi pounding, Hawaiian music, hula, traditional arts and crafts, and fill your belly at the food booths! 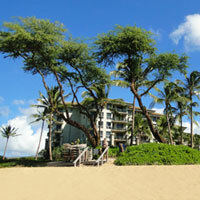 Film buffs should plan their Maui vacations for June so they can take in the Maui Film Festival! This year, look for it from June 4-8, 2014. Screenings take place at multiple places thoughout the island, including the Castle Theater at Kahului's Maui Arts and Cultural Center, and the outdoor "Celestial Cinema." For details and tickets, contact the festival box office at 808-579-9244. Kapalua Food and Wine Festival: This event has been taking place for over 30 years, and is jam-packed with things to do! This year, it takes place from June 12-15, 2014, with most of the events at the Ritz Carlton Resort. If you go, you'll get to enjoy celebrity chef cooking demos, a seafood festival, wine tasting and seminars, a wine tour, the festival golf tournament and more! Click here to go to the festival website. I'd be all over this one if I were here in August! If you like to hike, and you're interested in learning more about Maui, then sign up for the free tour of the Nu‘u Refuge that will be held on August 9, 2014, from 9 a.m. until 2 p.m. The Nu'u Refuge is an 82 acre property located on Maui's isolated South East coast. It's home to pristine wetlands that are a home to several species of endangered birds. The Hawaiian Islands Land Trust puts on these walks - meet at the Ulupalakua Ranch Store (located across the street from the Tedeschi Winery). Lace up your running shoes! The Maui Marathon is on for September 21, 2014! I think it's safe to say this is probably one of the only marathons in the world where you might see a runner in a hula skirt! The Sun Yat-Sen Festival: On November 14 and 15, 2014, from 1-8 p.m., head over to the Wo Wing Museum in Lahaina (858 Front Street) and check out their celebration of the founder of modern China, Dr. Sun Yat-Sen. There will be a lei ceremony, a martial arts demonstration, and you'll find out how his work connects to Maui. Admission for this event is free. The Pacific Whale Foundation Maui Whale Festival kicks off in late November! A whale of a time will be had by all! Spending Thanksgiving on the island? Here are the best places to have Thanksgiving Dinner on your Maui vacation! The Holiday Lighting of the Banyan Tree in Lahaina makes for a great way to start off the holiday season! This year, the festivities will be taking place on December 6, 7, and 12, 2014. New Year's Eve is always a big night! Here are some great ideas for some fantastic New Year's Eve Maui events that will be totally different from the typical mainland celebration! Don't forget to book early! Share Your Maui Event Review or Announcement! If you've been to a Maui event, or you have an event to announce, I'd love to hear about it - I'm sure other visitors to this page would love to hear about it too! Tip: Everyone loves photos, so please include up to 4 images with your post, if you have them. You can share on the form below for everyone to read! *File size for pictures should be a maximum of 100 KB. Maximum width for pictures is 580 pixels..